IVYBRIDGE student Lewis Widdicombe impressed at the Scottish Junior and Senior Open event held at Glasgow’s Emirates Arena at the weekend. The South Brent Judo Club member won silver in the junior men’s under-90kg category. 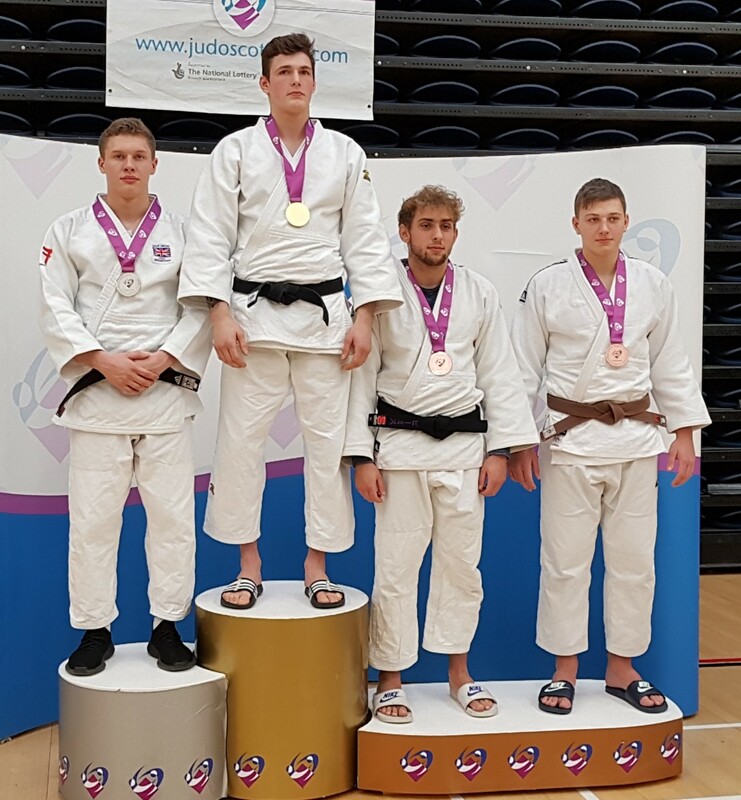 The event was one of only five UK junior ranking events taking place this year and so attracted the country’s top judo competitors. Widdicombe won both his pool fights and advanced to the semi-finals as the group winner. 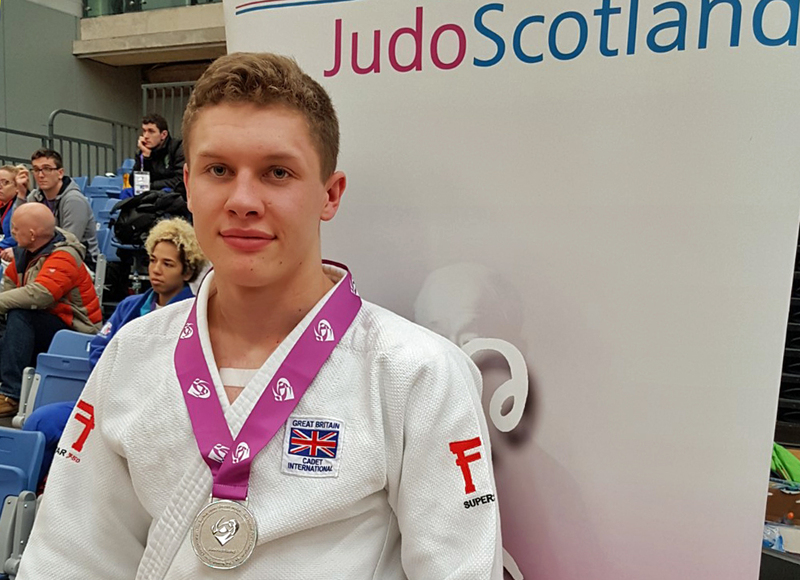 He quickly won his semi-final against Oliver Barratt by an ippon and moved into the final against the current GB number one, Harry Lovell-Hewitt. After an intense contest, Widdicombe lost by arm lock, but went away with the silver medal and 75 junior national ranking points. This coming weekend the Devonian will join up with the GB squad (ONST) for a training camp in Walsall. His next competition with be the Bremen International in Germany at the end of March. Meanwhile, three South Brent Judo Club members were honoured by Devon at the weekend. Pierre Michelin picked up the Devon junior male judoka athlete of the year award for 2017, Cordelia Gregory the young female judoka athlete of the year and Max Gregory the youth male judoka award for the year. 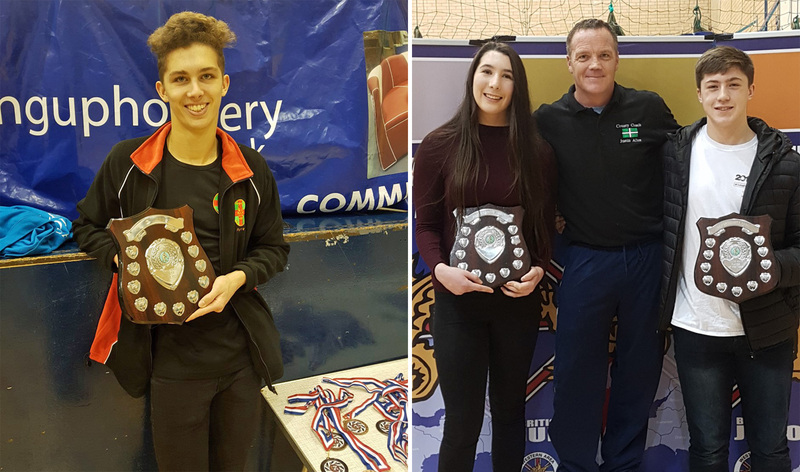 The athletes were presented with their awards at the Devon Closed competition held at Torbay Leisure Centre, where Michelin won gold in the senior under-66kg category. Also picking up gold medals at the event in Paignton were club team-mates Cerys Callard, Mat Upton, Jamie Shipp, Maddox Callard and Zoe Butler. There was a silver medal for Ellie Shipp and bronzes for Olly Michelin, Lara Butler and Delphine Stilwell.